Shooting a full-length movie requires a serious investment of time, effort and money. The entire production may take a few months or more before the movie’s release. It involves dozens or even hundreds of people working on the production. Studio-produced movies typically involve more people compared to independently produced ones. Develop your concept and story into a script. Hold meetings with the creative team, which includes the director, scriptwriter, director of photography and production designer, along with the executive producer and movie executives (if the film is studio-produced) to finalize the concept, story and script. Finalize your production team and actors, then conduct meetings in preparation for the actual shoot. In general, you need a director, scriptwriter, producer, director of photography, production designer, art director, assistant director, production manager, production assistants and camera, lighting and grip crew. Depending on the type of meeting arranged, other members of the production team are typically involved in various meetings as well. For instance, if the meeting concerns the lighting and camera requirements of the movie, the cinematography team led by the director of photography is also called for the meeting. If the meeting concerns the costume, make-up and other art requirements of the movie, the art department led by the production designer is also called for the meeting. Meetings, workshops and rehearsals with actors are also done during this stage. Make a production timetable and confirm the final schedule of the shooting days. Inform everyone about the final arrangements and specific scheduling and requirements for each shooting day through phone calls, emails and physical documents such as the call sheet (to be furnished for all people who will be part of the shoot) and copies of the script, script breakdown and other production documents needed during the shoot. Reserve all equipment and other material and financial resources needed during each shooting day. Aside from the cameras, lights, grip and sound equipment, you also need to secure shooting permits for your locations, production vehicles, catering and standby medical team, especially for movies with stunts and other dangerous set-ups. Start shooting according to the approved daily schedule. For a full-length movie, this can take a few days for independent and low-budget projects and a few weeks or months (or sometimes even years) for big-budget narrative films, blockbusters and documentaries. Once all scenes are shot, the production moves on to the post-production stage where the footage is edited, special effects (if any) are created, sound and music are produced and the movie’s master copy gets released. Provide a standby directory listing down the key people and suppliers to contact for specific concerns and issues while shooting. Once the final film is ready, the marketing and distribution of the movie are done prior to its actual showing in regular theaters, its screening at film festivals or its release on DVD or Blu-ray. 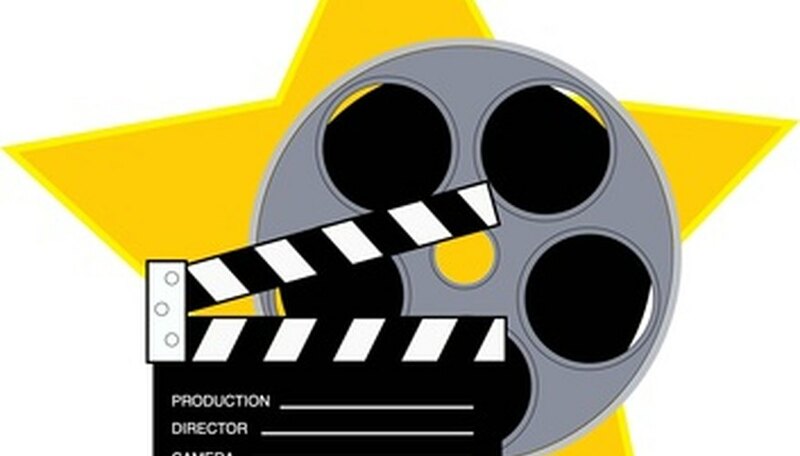 Learner.org: Cinema - How are Hollywood Films Made?